Edinburgh, Scotland, UK; 1 August, 2018. 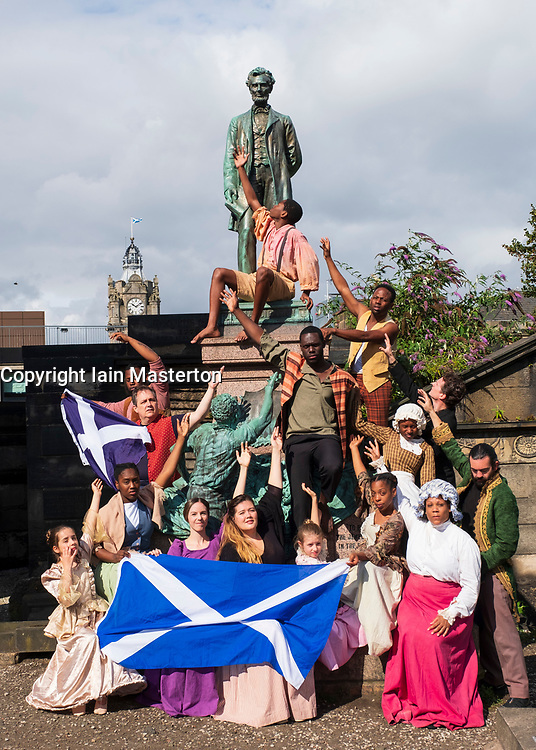 The cast of Henry Box Brown: a Musical Journey at the statue of President Lincoln in the Old Calton Burial Ground, Edinburgh. New York Gospel singers from a new Edinburgh Fringe musical about an American slave shipped to freedom in a 3ftX2ft box gather at American Civil War Memorial to honour the Scots who fought against slavery in the American Civil War.